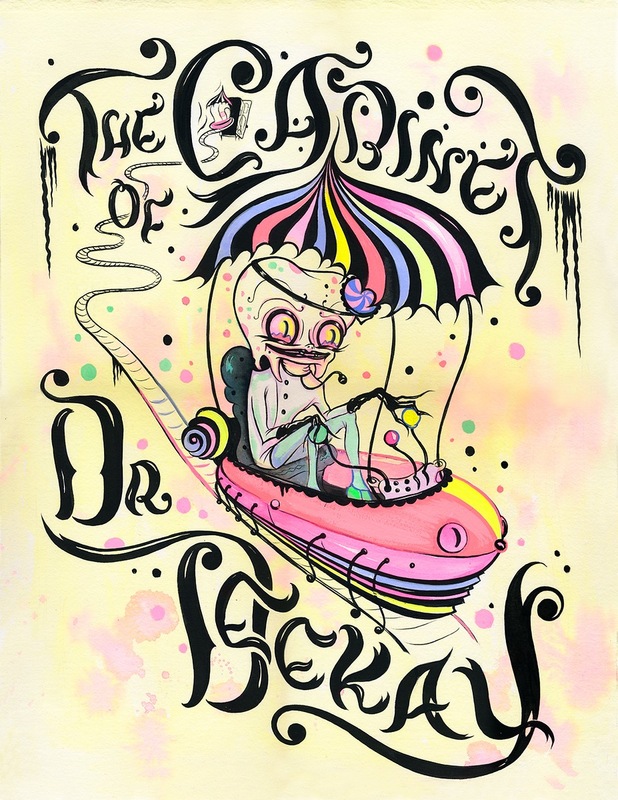 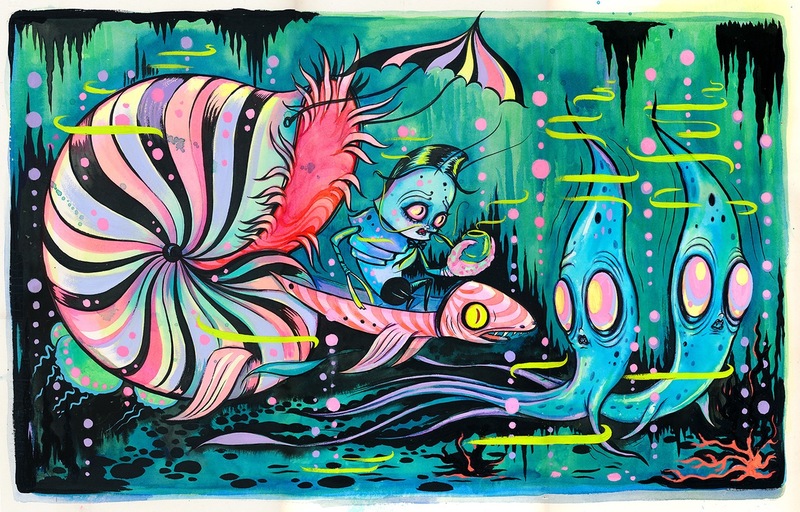 Following up on her show in 2016 (covered here & here), Camille Rose Garcia will be opening her solo soon in downtown Los Angeles at Corey Helford Gallery on May 12th entitled The Wonderful World of Dr. Deekay. 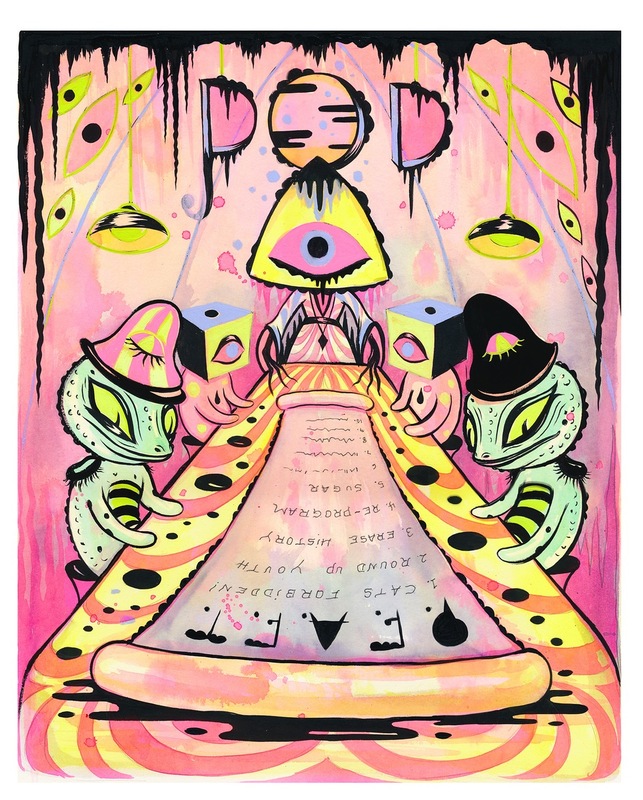 As referenced by the title of the exhibition, the work centers around imagery from her new illustrated dystopian novel and stop motion animation documenting the horror of her real life dental experience of enduring “11 root canals, a full mouth reconstruction, gum surgery, and finally a bad reaction to an anti-anxiety pill that created frightening hallucinations and the inspiration for this story” – all in one week. 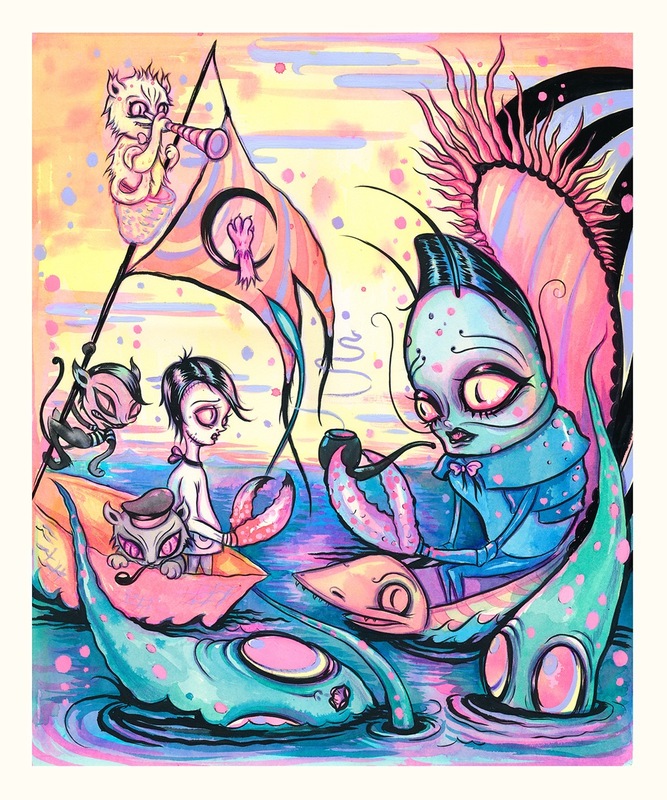 Created in the style of her previous work illustrating some of her favorites like Alice in the Wonderland and Snow White, the new book and animation has clearly been labor of love, which fans can experience through the illustrations, paintings, and process work & puppets that will be on display. 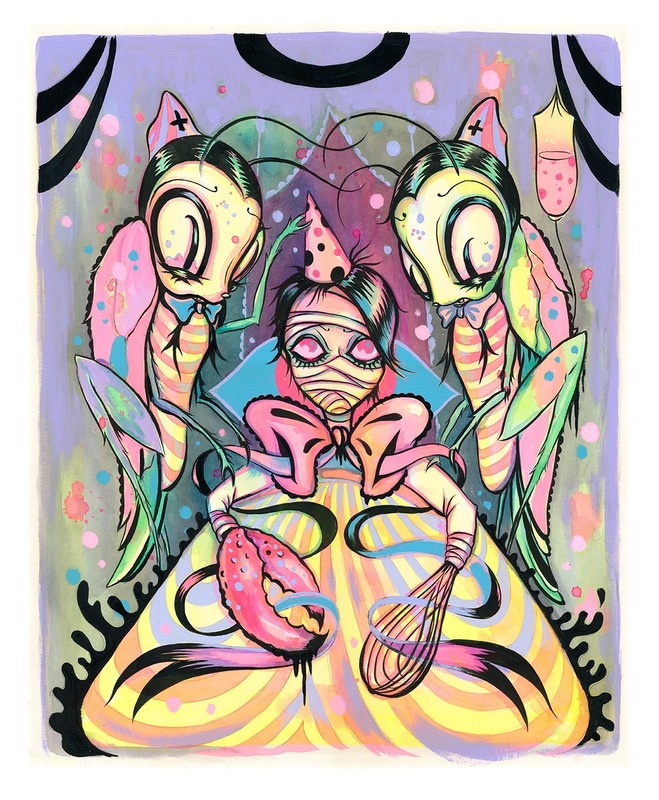 Discuss Camille Rose Garcia here. Categories: Low Brow & Pop Surrealism, Shows & Events. 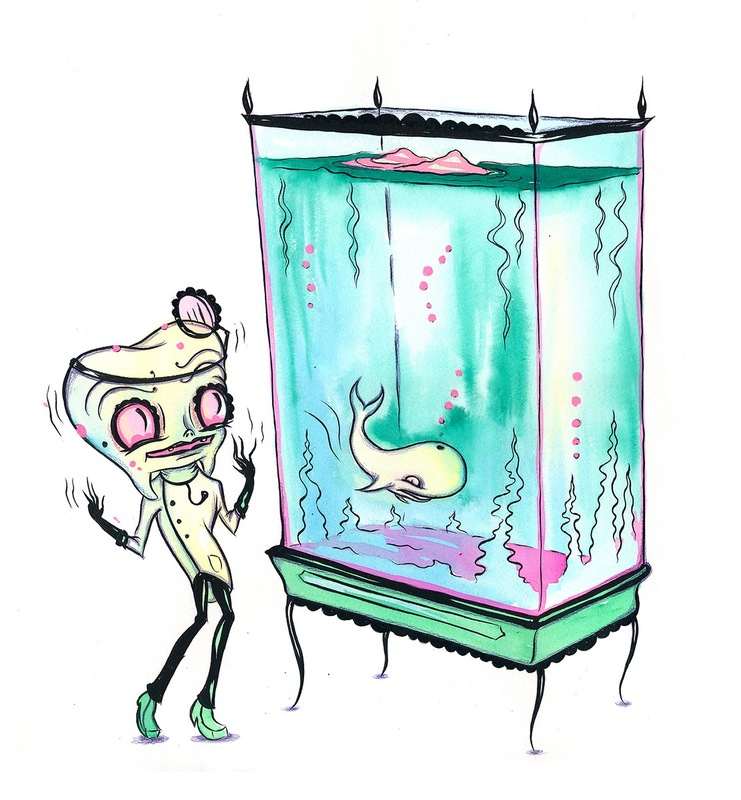 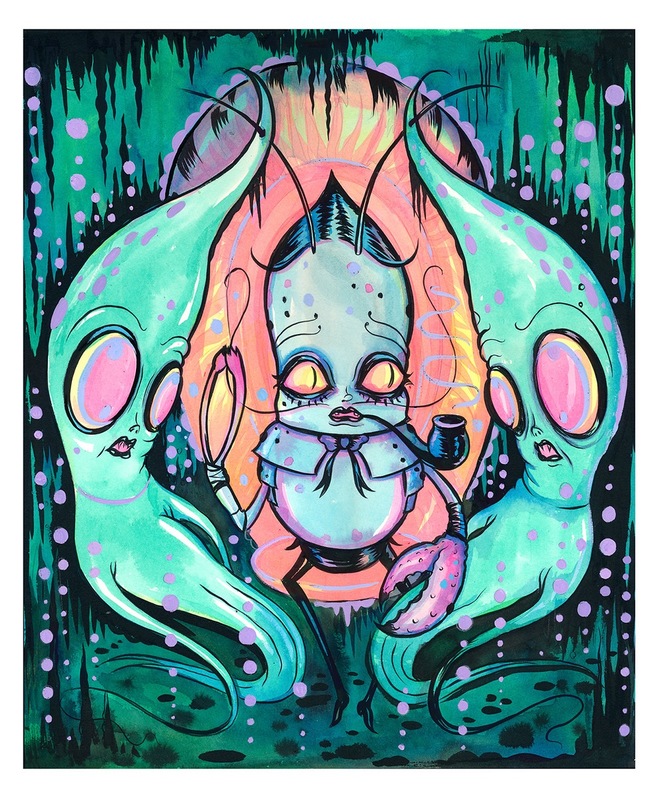 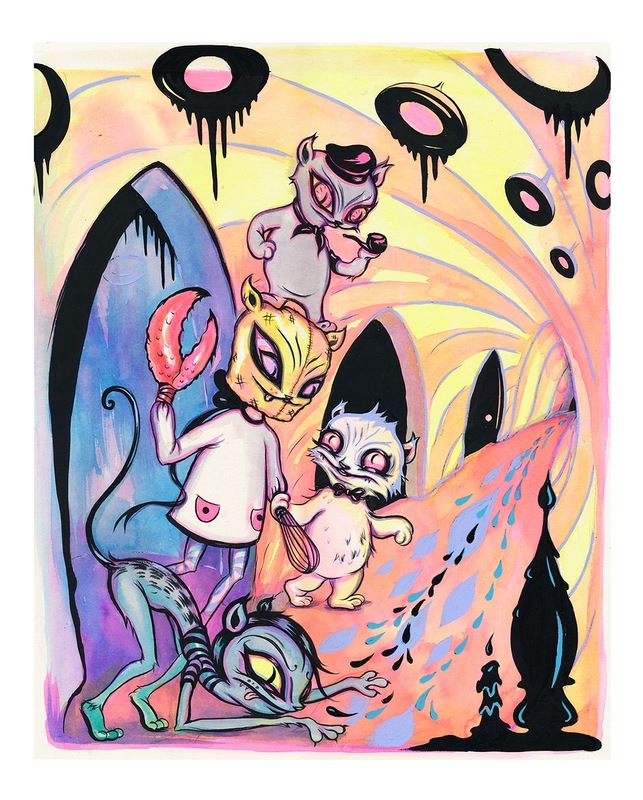 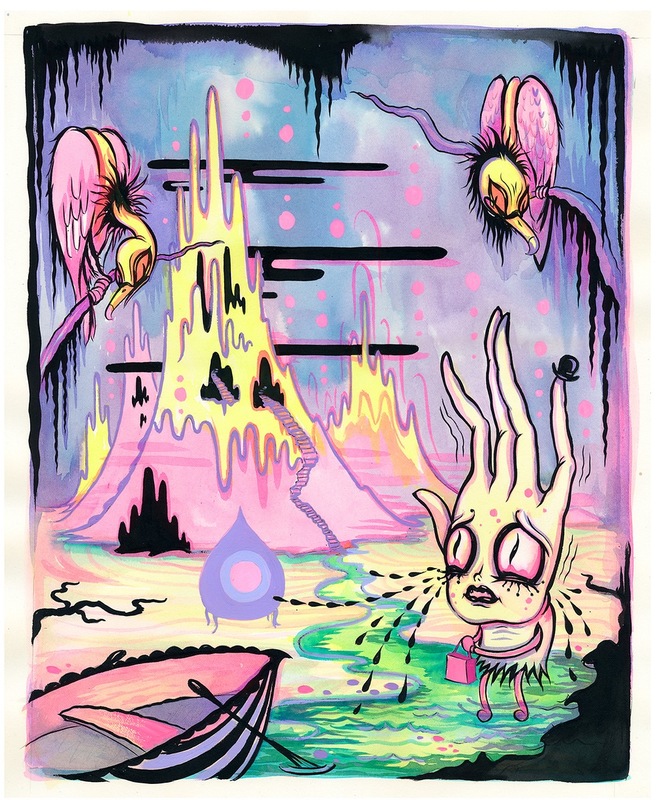 Tags: Camille Rose Garcia, featured, Los Angeles, Low Brow & Pop Surrealism, Shows & Events, slider-featured.